I have had several of my associates insist that I sit down and watch Whiplash. Unfortunately, like a lot of things, my busy schedule makes me put things on the backburner which is ALWAYS a disservice to myself as a fan and practitioner of music. This, of course, is the exact scenario of finally getting to sit down, focus, and view the incredible Whiplash, and I am glad I came into this film cold. 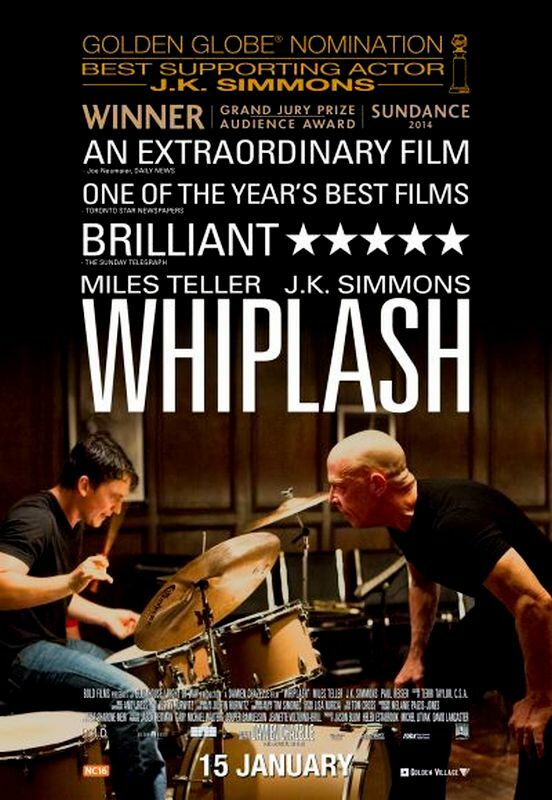 Whiplash is a drama centering around jazz music, plain and simple. I was surprised by this initially, as I focus on documentaries for a living, but Whiplash easily grabs you within the first five minutes and does not let go until its gargantuan closure. Musicians will really feel the punch of the Whiplash. If you have ever had to fight to learn, understand, and properly play music, a travel that can be met with frustration, pain, and despair, you will be sitting right next to Andrew (Miles Teller) at his drum kit helping him turn pages of music, sweating and bleeding with him. Whiplash really is one of the most intense things I have viewed in the last couple of years. During the rehearsal scenes, I felt like everything was just ready to fall apart under the observation of some of the best musicians in the world playing at the top of the game. It is very unsettling. This really is caused by music instructor Terence Fletcher (played by the excellent J.K. Simmons) delivering a performance of his life in Whiplash. Terence Fletcher really varnishes nothing as instructor as he badgers and screams at his students. Whiplash is an exhilarating, but not happy film. 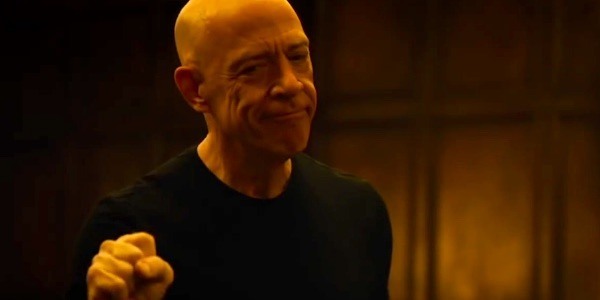 It does not resolve all of its conflicts, it only does enough to make the main characters get by only really letting us see them at their absolute best, but knowing that they are a mess on the inside, which is the real magic of Whiplash. Yes, Andrew does triumph over the great adversity and earn the respect he is due, but all that ugliness is still there, sitting behind him and his drum kit. It makes you walk away a little dizzy and bewildered wondering what planet you are on. 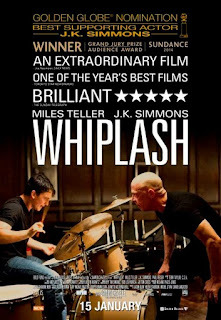 Whiplash is a REAL story with a REAL outcome. Nothing is ever perfect in life and we do things we regret, but we all need people like Terence Fletcher in our lives to push us to the next level.